In this guide, we are going to list Best Roku Private Channels. Roku is simple and an easy to use streaming device with amazing features and simple remote control. Its biggest feature “Roku Search” makes it easy to find contents or your favorite streams. With this device, you get access to over 4,000 channels both paid or free (hidden & private) for unlimited streaming activities. Roku is also a plug & play device which requires just a Wi-Fi connection and you are good. Roku Private channels are those channels you cannot find in the Roku channel store, no matter how hard you search for them. These private channels and apps make up the Roku Channel Store but they are not publicly displayed. This is due to the fact that some of these channels may still be a beta version, an unofficial third-party channel without an official application or if the channels have adult contents. In this case, you can not find these channels in the Roku channel store, you can only install them using a secret link or code which I will show you. In this article, I will be showing you how to set up and install private channels on Roku. Also, I will give you all the secret codes for these channels to make it easy for you to add them to your Roku device. You can also stream Live TV by installing Kodi on Roku. In other to get the process I am about to show you without any difficulties, I will start with the basics, which is, setting up your Roku device. For first timers, this device requires an internet connection for it to work. So first of all, you need to have a wireless internet connection and then plug your Roku device to your TV’s HDMI port. Roku will then automatically walk you through the device’s setup. You will need to create a Roku account or sign-in using an existing account if you already have one. The Roku device comes pre-installed with apps such as Netflix, VLC, Amazon video, Hulu, and many more. But these channels may not satisfy your streaming needs, so you may need to add other channels. Official channels can be found on the Roku Store while third-party channels can be found using special invitation secret codes. Like I said earlier, it is a simple step that requires no special skills. You can add as many private Roku channels as you want. Below is the list of some of the Best Private Channels for Roku you might want to add to your device to enjoy unlimited streams. It takes the same process to add any private channel to your Roku device. Here are the channels and their secret access codes. This is one of my best apps for Roku, this is because I like watching old movies, cartoons and TV shows to bring back old memories. Yes! 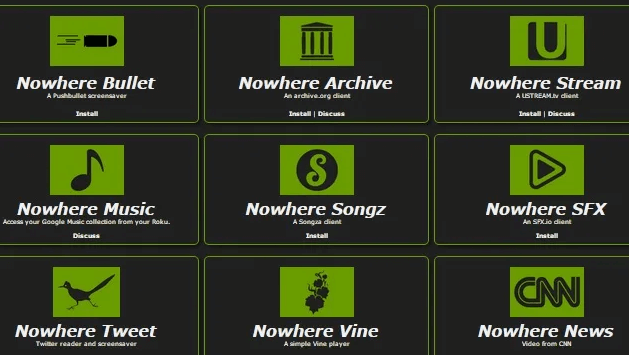 Old movies and TV shows can be found using the Internet Archive app. It has a collection of all the old movies, shows, cartoons, and more in one place. In recent times this app has gained popularity because it works via any streaming device. Although it is an unofficial app, you can stream every single content you find on the app using your Roku device. It is the best when it comes to private channels, with a lot to stream such as BBC, Hubblecast HD, C-SPAN, NBC Nightly News, NASA TV, John Green’s Crash Course, CNN International, CBS News archives, PBS, The Pentagon Channel, TED Talks, Adult Swim shows, Bloomberg News Live, White House Press Briefings, Al Jazeera (English, American, and Arabic), Universal Sports Network, Khan Academy learning videos, and many more. Who says you can not watch all your favourite animal shows and programmes? Wilderness channel gives you all the best of survival training, hunting, nature, fishing and many more. This is definitely another options if you don’t have national geographic or animal channels. Just like the name, Amateurlogic is for anyone who likes watching DIY (Do It Yourself) channels. This is a video channel that centers around amateur computers, photography, radio, raspberry pi, and many other electronic DIY projects. You can learn a lot from this channel. Every Roku user has to have this app installed on their device. With m3u Black, you will get access to over 1000+ channels to stream directly by finding the m3u file and adding it to the application. All the streaming links are contained in the m3u file for different channels. Also, m3u after installation shows like a playlist which can be switched other channels using the media player functions on the Roku remote. Movie lovers will definitely like this Roku movie channel app. It has a lot of old classic movies in different genres like horror, action, mystery, comedy, martial arts, drama, and many more. Roku store does not have a lot of channels that are cooking-related. So, Great Chefs will serve your purpose if you are into cooking and wish to learn more while streaming from this channel. You get to stream different categories of cooking videos using this app. This is another amazing channel but it is strictly for adults only and it is updated regularly. This is because it includes 18+ contents such as B-movie action, kung-fu, horror, sci-fi, movies and more. Streams are available 24/7 with old movies in the aforementioned categories as well. If you are a cartoon and anime lover like me, then this should be your first app to add on your Roku device. Maddy Mation is an app with some of the best anime and cartoon collections you can get for Roku. it is ads -free, suitable for children and comes with some stand-alone animes and cartoons as well. 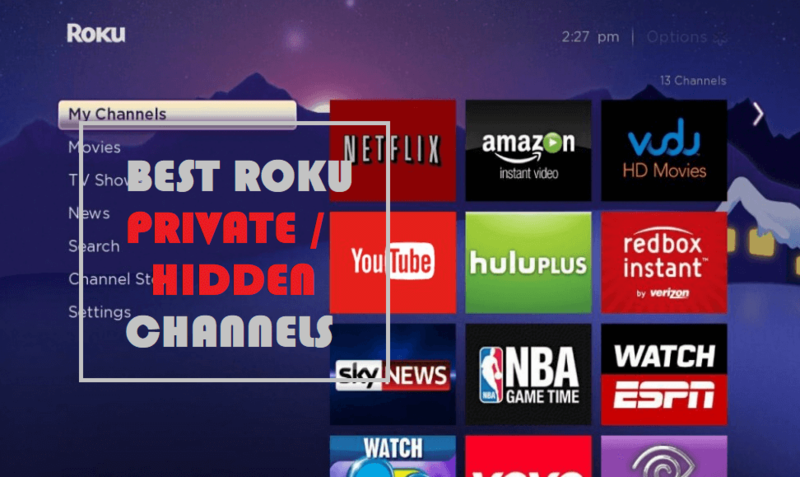 So, the following step-by-step guide I am about to share with you is the same process I have been used to install private & hidden Roku channels, which you can also do without stress. Firstly, you need to visit Roku’s official website. Create a new account or sign-in to your existing Roku account. Once signed in, you will see a lot of options. Select “Add Channel” under Manage account. The next page will pop-up, prompting you to add the Code for the channel you wish to add. Roku will present a warning page, prompting you about the third-party channels you wish to add to your Roku device. Click on OK and continue. After the warning, you will get a confirmation page, select “Yes, Add Channel” to allow your action. After the add channel confirmation, it takes about 24-hours for the new channel to show on your Roku device. If you wish to check the duration, go to settings on your Roku device, system, system update and then select Check Now for more details. There you have it, if you are a Roku user and you are tired of the limited channels found in the Roku store, the above list will do the magic for you. Most of these channels offer amazing streams but are private or hidden from the public either due to adult content restriction or if the apps are still under development or if they don’t have an official app. So installing them from the store becomes difficult and only requires a unique access code to grant you the privilege to add the channels to your device. I hope this article has been helpful to you with the simple steps on how to add private channels to your Roku streaming device. Subscribe to our newsletter for more information and send your feedback as well.